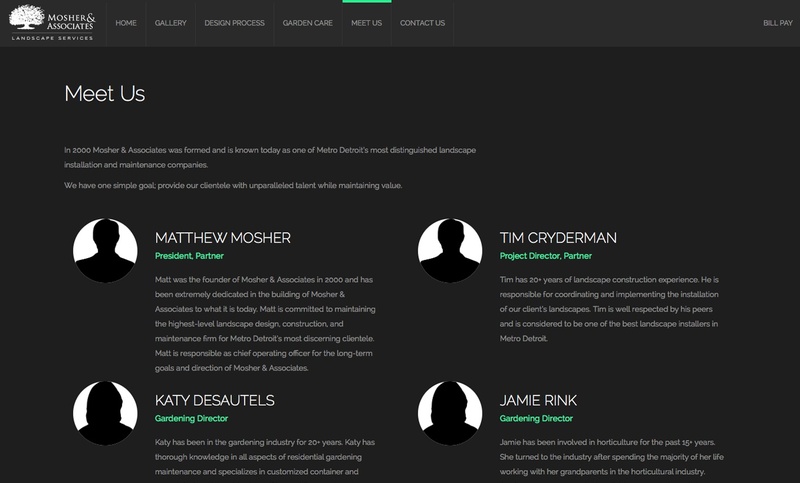 Mosher & Associates is a high end landscaping and lawn care maintenance company based out of Royal Oak, Michigan. As their industry is a very visually based strong images were a must for their website to be an effective marketing and sales tool for their business. 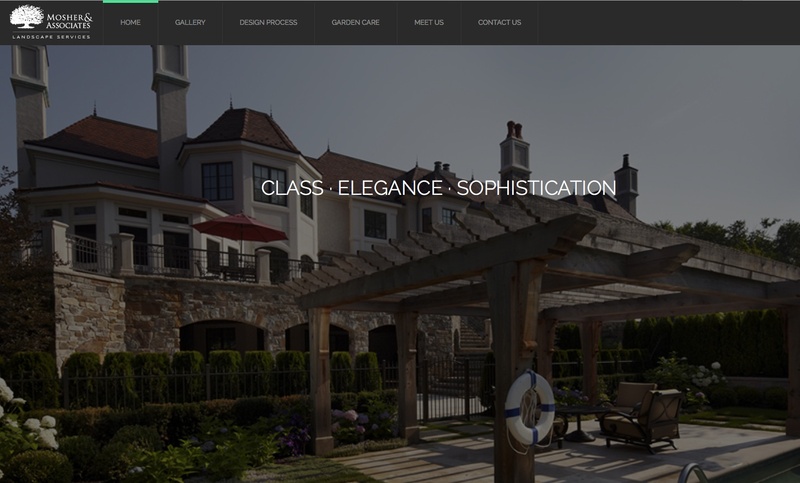 A lot of time was spent by the Formcode design team in creating a powerful visually pleasing site for Mosher & Associates so their clientele would get the whole scope of their capabilities. 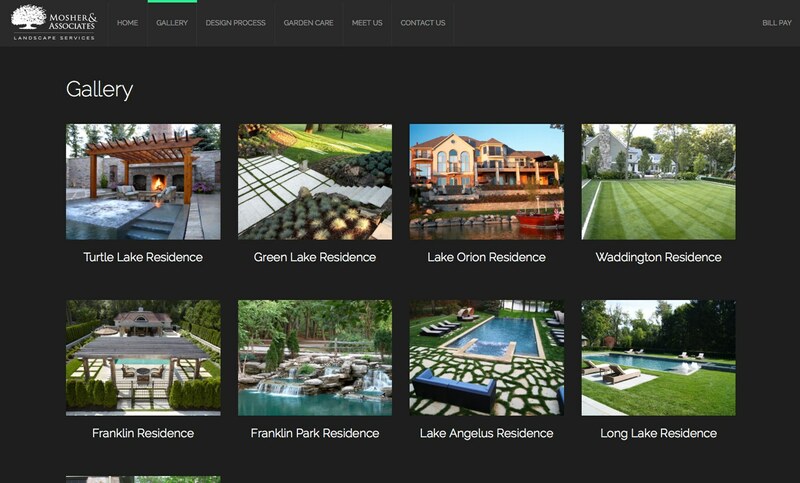 In 2000 Mosher & Associates was formed and is known today as one of Metro-Detroit’s most distinguished landscaping installation and maintenance companies. They have one simple goal; provide their clientele with unparalleled talent while maintaining value.